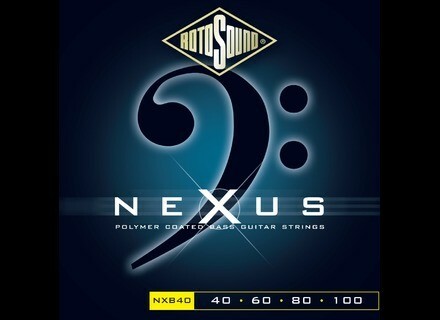 Nexus Bass NXB40 40-100, Bass String from Rotosound belonging to the Nexus Bass model. These bass strings have a black polymer coat set over a Type 52 pure nickel alloy wrap. This is designed to give rich mid-tones and offers an alternative to steels with high presence. The gauges available are 40, 60, 80 and 100, and 45, 65, 85 and 105. A single Low B (130) will also be available for five string bass players. 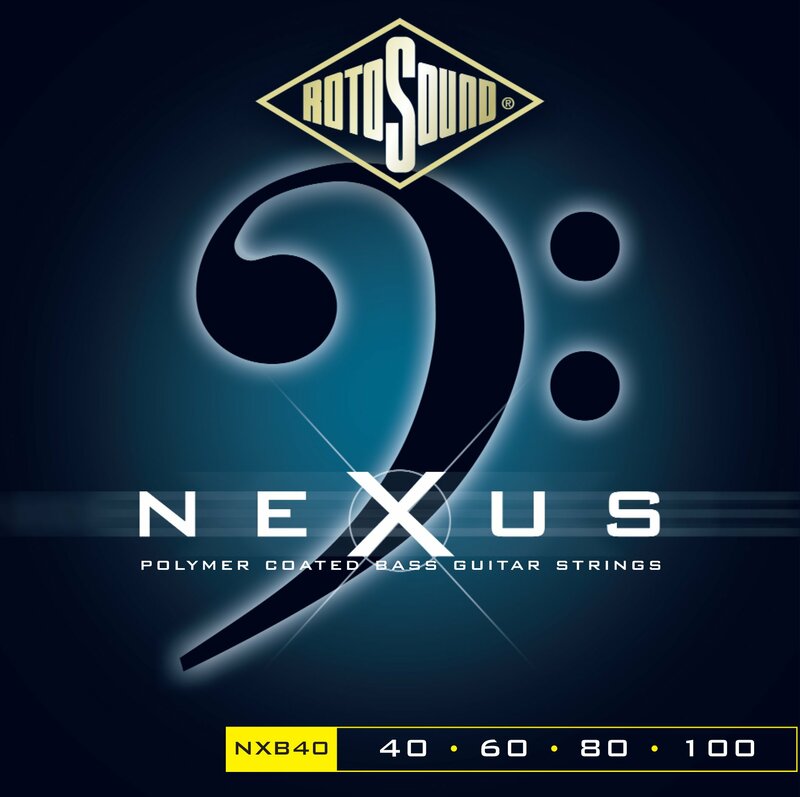 The Nexus Acoustic sets are clear polymer coated wound, gold series plain strings with a phosphor bronze base. This gives enriched highs and gentle mid-tones and comes in three gauges: 10s, 11s and 12s. In the electric range new Nexus strings also have a black polymer coating over nickel alloy. This adds a lot of warmth compared to conventional nickel strings. There are two sets available here: 9s and 10s. For further information on the range, check out www.rotosound.com/news.html. TC Electronic RS410 TC Electronic announced they are now shipping the RS410 bass cabinet. Ernie Ball Coated Bass String Line Ernie Ball announced the arrival of the new Coated Bass String line. MarkBass MoMark Website Markbass has announced the launch of the official MoMark website.